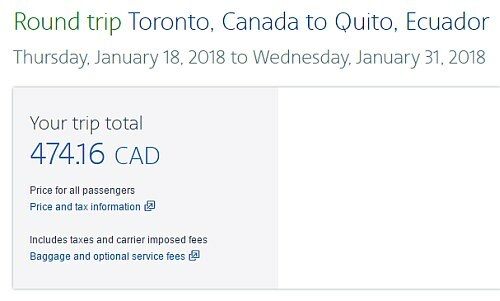 American Airlines has dropped the price of a couple of their flights from Toronto to Quito, Ecuador down to $407 CAD roundtrip including taxes. But they are not great flights, and have a long layover in Dallas. 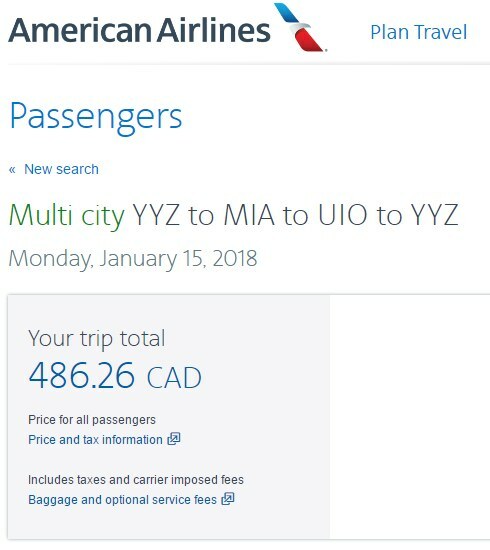 Click on the departure date box to open up the calendar view and look for the date combinations that are $407 CAD roundtrip. 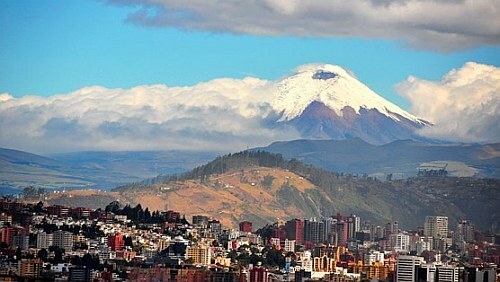 Update 10/23: American Airlines and Delta have dropped the price of their flights from Toronto to Quito, Ecuador down to $474 CAD roundtrip including taxes. They are available for travel in November 2017 and January, February 2018. 3. Select your flights and click through to the Delta or American Airlines website. You can also turn these into a 2-in-1 trip and visit both Quito, Ecuador and Miami, Florida for $486 CAD including taxes. The flights are non-stop from Toronto to Miami, and from Miami to Quito, with 1 stop on the way home. 2. Select your flights and click through to the American Airlines website for booking. 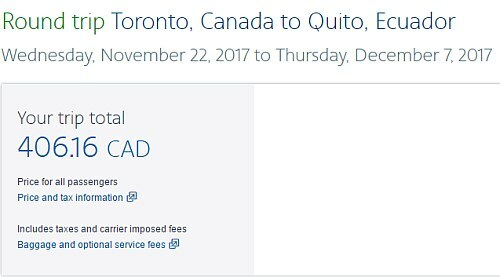 toronto, yyz, flight deals, american airlines, south america, ecuador, quito and uio.